Henricus Martellus Germanus was a German cartographer who worked with Francesco Roselli in Florence near the end of the fifteenth century. He published his world map in about 1490. 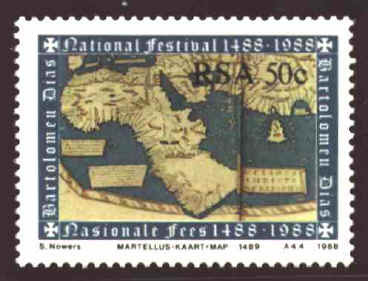 Some believe that Martin Behaim relied on the large world map by Martellus when he constructed his Erdapfell in 1492, on the eve of Columbus’ first voyage to the west. 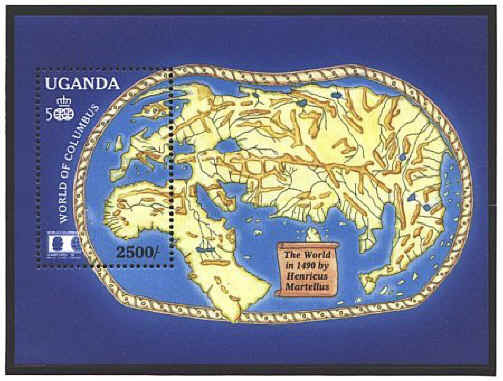 Martellus’ map follows in the tradition of the Ptolemaic geographical system. Few if any new surveys had been done in recent years, so the map shows the world as it was visualized by the educated classes at the end of the fifteenth century.